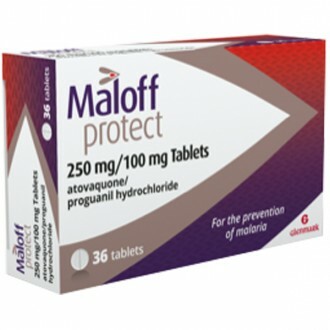 Avloclor (Chlororquine) 250mg tablets are a convenient and cost-effective treatment for malaria prevention in some areas that pose a malaria risk. Avloclor tablets can be bought online without a prescription, quickly and easily from The Independent Pharmacy. 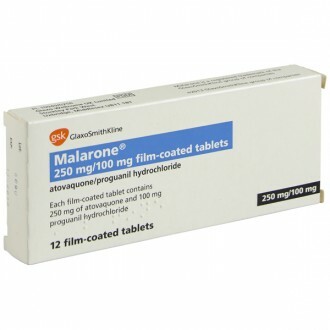 Avloclor (Chloroquine) 250mg Tablets are available to buy from The Independent Pharmacy Online Doctor service, following a free consultation, to help prevent malaria. To find out more about malaria and see all the available treatments, see our Online Doctor Malaria page. 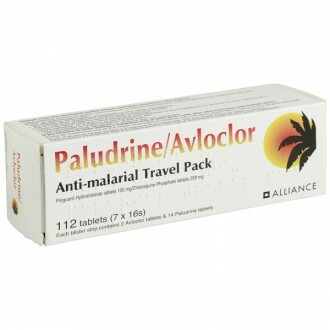 Avloclor Tablets are mainly used for the prevention and the treatment of Malaria. 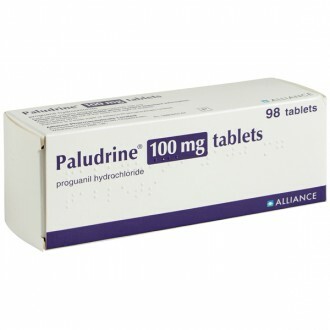 Each tablet contains 250mg of the active ingredient Chloroquine Phosphate. Avloclor is classified as a prescription-only-medicine (POM) and is manufactured in the UK by Alliance Pharmaceuticals. Avloclor tablets are white and round. One side is scored down the middle with the letter ‘A’ marked on either side of the score-line. The other side of the tablet is plain with no markings. Avloclor are taken as a single dose of 2 tablets once weekly, started one week before travelling and continued for 4 weeks after returning. Malaria is a serious disease that can potentially be fatal. It is caused by various types of parasites known as plasmodium. Mosquitos infected with plasmodium can pass them on to humans through bites. If bitten by an infected mosquito the plasmodium will be transferred into the human bloodstream. Once there, it will begin to reproduce and multiply, resulting in the disease malaria. Chloroquine Phosphate belongs to a group of medicines called antimalarials. Basically, Chloroquine works by killing the plasmodium once it has entered the red blood cells. It does this by inhibiting the action of a chemical the plasmodium produces to protect themselves. Once inside the red blood cells the plasmodium starts to digest the oxygen carrying pigment haemoglobin, separating it into two parts; haem and globin. However, haem is toxic to the plasmodium. To protect themselves, the plasmodium produces a chemical that renders the haem non-toxic to them. Chloroquine blocks the action of this haem detoxifying chemical, causing a rise in toxicity that will kill the malaria parasites. 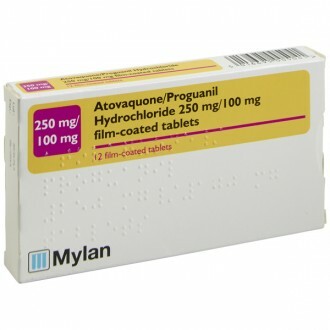 Avloclor can be taken on its own or in combination with another antimalarial medicine called Proguanil. Knowing which antimalarial treatment is right for you will depend on your destination. Different regions, countries and continents can be affected by different forms of the malaria causing parasite. Different parasites can react differently to different treatments. In some cases the plasmodium has developed a resistance to one form of treatment. For example, plasmodium falciparum is known to be resistant to Chloroquine. For areas where this plasmodium is prevalent, Chloroquine will not be an effective means of prevention. An alternate, such as Malarone, will be more suitable. Pharmacist Tip: Chloroquine is suitable during pregnancy and breastfeeding, however it should not be taken if you suffer with epilepsy or psoriasis. The tablets should be taken with or after food to help reduce side effects. You should take two tablets every week on the same day each week. Avloclor needs to be taken one week before entering an area where malaria is present and continued until four weeks after leaving the malaria area. You should take Avloclor with or after food. Avloclor remains effective with a moderate alcohol intake. If you do experience side effects from Avloclor they may include nausea, diarrhoea, headache, rashes, skin itch, blurred vision, hair loss, dizziness, mood change, sun sensitivity or seizures. As such you should not take Avloclor if you or a close relative suffers with epilepsy. Avloclor can also worsen psoriasis; people who suffer with psoriasis should avoid taking Avloclor if possible. Please read the Patient Information Leaflet enclosed with your medicines for a full list of side effects. You are allergic (hypersensitive) to chloroquine phosphate or any of the other ingredients of Avloclor (see Section 6: Further information). You have ever been told that you have a rare disease of the blood pigment called ‘porphyria’ or anyone in your family has it. This is because Avloclor may cause severe symptoms of porphyria, particularly if you drink alcohol. You have a scaly condition of the skin called psoriasis. You have a muscle problem called ‘myasthenia gravis’. Avloclor can increase the symptoms of this condition. It can also reduce the effect of medicines used to treat this condition (neostigmine and pyridostigmine). You have a blood problem called ‘glucose-6-phosphate dehydrogenase deficiency’. Avloclor may damage blood cells in people with this blood condition. Praziquantel (used to treat infections of the bowel and bladder caused by parasites). Ciclosporin (mainly used by transplant patients but also used to treat rheumatoid arthritis and psoriasis). Anti-convulsant medicines (used to prevent convulsions or fits). Digoxin (used to treat heart problems). 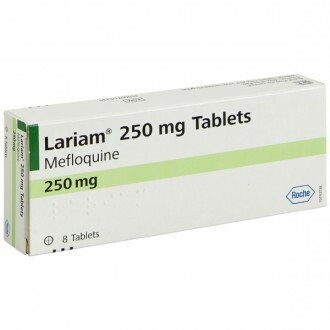 Other medicines used to prevent malaria, such as mefloquine. There is a risk of convulsions or fits when these medicines are taken at the same time as Avloclor. Cimetidine (used to treat stomach problems). This medicine affects how Avloclor is broken down by your body and may affect the amount of Avloclor in your blood. Medicines like kaolin (used for diarrhoea) which are called ‘adsorbents’. Antacid medicines (aluminium, calcium and magnesium salts that are used to treat heartburn or indigestion). You should try to avoid taking Avloclor around the same time as indigestion or heartburn remedies containing high levels of calcium, iron or magnesium as this can reduce its effectiveness. Avloclor is not 100% effective at preventing malaria, however it is still very effective if taken properly and combined with bite avoidance methods. What is Avloclor used for? Avloclor is a pharmacy medicine (P) used to prevent malaria. This treatment can be purchased from a pharmacy without a prescription for this purpose. Malaria is caused by a single-celled parasite known as plasmodium. Some mosquitos are infected with this parasite. If bitten by an infected mosquito, the plasmodium will likely be injected into the victim's bloodstream. Once there, the parasite will travel through the bloodstream to the liver, where they will begin to multiply. After their numbers have increased, the plasmodium is released back into the bloodstream, where they will start to invade the red blood cells, further multiplying in the process. An actual attack of malaria occurs when the invaded red blood cells burst, spewing a further mass of parasites into the bloodstream. The attacks only begin after a sufficient number of blood cells have been infected with plasmodium. Avloclor works by attacking the plasmodium after they have penetrated the red blood cells. It kills the parasites and prevents them from multiplying further. How do I take Avloclor? Avloclor should be taken with a glass of water, either with or just after food. If necessary, the tablets can be crushed and mixed with milk, honey, or jam. Two tablets should be taken once a week, on the same day each week. The course should be started one week prior to travelling to the malarious area. You should regularly take the tablets every week throughout your stay and continued for a further four weeks upon your return. This course ensures there will be enough medicine in the blood to kill any remaining parasites released from the liver. If you forget to take you weekly dose, you should take two tablets as soon as you remember. You will then need to wait 7 days before taking your next dose. What should I know before I start taking Avloclor? For some, Avloclor can cause visual disturbances in the initial stages of use. If you find yourself affected in this way, take extra care when driving or operating heavy machinery. 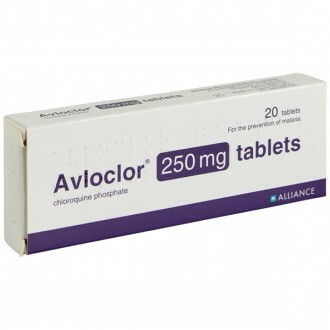 Avloclor may result in low blood sugars (hypoglycaemia), which may cause; cold sweats, pale skin, lethargy, headache, difficulty concentrating, confusion, nausea, and palpitation. Whilst taking antimalarial treatments, such as Avloclor, it is strongly advised to take additional precautions to avoid being bitten by mosquitos. This should include the use of nets and repellents. These precautions are particularly important if you are suffering from vomiting and diarrhoea, as these inflictions can affect the absorption of Avloclor from the gut. If you fall ill within one year of your return (especially if within 3 months), you should consult with your doctor straight away, letting he/she know that you have visited a country where malaria is endemic. Who should not take Avloclor? Avloclor isn’t suitable for everyone. People with a history of epilepsy should avoid taking this medicine. Avloclor should not be taken if you are allergic to any of its ingredients. If you suffer an allergic reaction, stop taking this medicine and inform your doctor or pharmacist without delay. If you are taking Avloclor for any reason other than preventing malaria, it is advised to check with your doctor before breastfeeding. Does Avloclor interact with other medicines? Prior to starting a course of Avloclor, It is very important to inform your doctor or pharmacist about any medicines you are already taking. This will include prescription medicines, over-the-counter medicines, and any herbal or alternative medicines or supplements. Similarly, check with your doctor or pharmacist before starting any new medicines whilst taking Avloclor. Antacids – these medicines can reduce the absorption of Avloclor from the gut, meaning the full dose is not absorbed into the body. Antacids should be avoided for 2-3 hours prior to and after taking Avloclor. Cimetidine – may inhibit the breakdown of Avloclor by the liver, which can lead to increased levels of Avloclor in the blood. This will increase the risk of experiencing unwanted side effects. 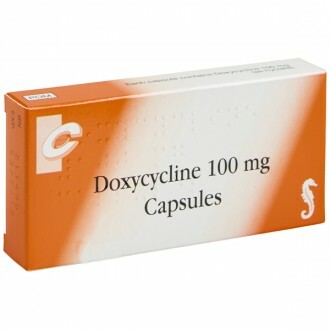 Ciclosporin/digoxin – Avloclor can increase the blood level of these medicines, which will result in an increased risk of suffering their side effects. Insulin/diabetes medicines – if taken with insulin or other diabetes medicines, Avloclor can increase the risk of hypoglycaemia (low blood sugars). If you have diabetes, a dose adjustment may be required whilst taking Avloclor. Please ask your doctor for advice. Mefloquine/bupropion – there may be an increased risk of convulsions if Avloclor is taken with these medicines. Neostigmine/pyridostigmine – Avloclor can reduce the effectiveness of these medicines used to treat myaesthenia gravis. Oral thyroid vaccine – this vaccine’s effectiveness can be reduced by Avloclor. If immunisation is required, ensure the vaccine course is completed at least three days before you start taking Avloclor. This list is not exhaustive, always inform your doctor or pharmacist about any medicine you take before starting to take Avloclor.